Celebrate lemurs on World Lemur Day, Friday October 26! World Lemur Festival events will be held in Madagascar and around the world in October and November. This event listing will be updated throughout the month. There will be many participants, a parade, dance contests and much more. Merchandise for Lemur Love and Lemur Conservation Foundation will be available for purchase! YOLO Brewing Company will be hosting Lemur Love’s World Lemur Day Sacramento Celebration! We will be celebrating these adorable primates with snacks, games, lemur swag, and the LAST KEG of “Lemur Alone” Milkshake IPA! Make sure you don’t miss out on getting the last of the brew, because once the keg is finished, it’s gone! Come help us finish it (and for a great cause)! We will be hosting “Lemur Jeopardy!”, so make sure you bring your thinking caps to help you win a prize! We will also be hosting “Lemur Bingo” for a more relaxed, luck-based game that everyone can enjoy! Funds raised at this event will go towards Lemur Love’s lemur conservation efforts in Madagascar to help protect these beautiful families and their homes, as well as helping local villagers thrive, through continuous support of their Women’s Association programs. Swing by and say “Hi”, and celebrate lemurs with us for a great cause, and stock up on that lemur swag! We appreciate your support, and so do the lemurs! Lemur Love’s World Lemur Day San Diego Celebration! Lemur Flower Crown Pin for buying a pre-sale ticket! Join us in celebrating the first annual World Lemur Festival at the Alfred R. Goldstein Library on Saturday, October 13, from 11am to 3pm. The World Lemur Festival is a series of international events held throughout the world in October to celebrate lemurs and raise awareness for lemur conservation. The Lemur Conservation Foundation is proud to partner with Ringling College of Art + Design to bring this family friendly international celebration to Sarasota, Florida. The World Lemur Festival is FREE and open to the community. Lemur Activities and Keeper Talks! 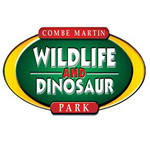 This is a free event but normal zoo admission applies. -Trevor Zoo Membership Giveaway (FREE)! Would you like to help save Lemurs? Please come to the Trevor Zoo the weekend of October 27th and 28th as we celebrate Lemur Conservation Weekend. On both Saturday and Sunday we will donate 50% of all store and admission proceeds to Lemur Conservation efforts! Visit our Mill Gift Shop, and anything you purchase including t-shirts, animal plushies, carved emu eggs, family memberships, and even your entry fees, will go towards this effort. World Lemur Day is October 26th! Join us to celebrate these precious primates at the Kros Strain Brewing Company. We will be celebrating with Fun lemur facts, swag, a new World Lemur Day t-shirt design from the incredible Colors for Conservation & MORE! Join us! Plus, a raffle with some SUPER Prizes! ~And, it’s Halloween costume night…so feel free to show up dressed as your favorite lemur! All proceeds from this event will go directly to support Lemur conservation- specifically the Dream School 2.0! This year’s World Lemur Day celebration falls on Saturday, Oct. 20. Visitors to the Ocean Journey building at the Tennessee Aquarium will be enjoy a packed schedule of special events and programs highlighting the Aquarium’s Ring-tailed and Red-ruffed Lemurs as well as several other fascinating animals native to Madagascar. At various locations in the Tropical Cove gallery, visitors will be able to meet animal experts for some up-close-and-personal encounters with these engaging Malagasy ambassadors, including riotously colorful Panther Chameleons, enormous Radiated Tortoises and the aptly named Madagascar Hissing Cockroach. The stars of the show, however, will obviously be the Ring-tailed and Red-ruffed Lemurs. Visitors can learn more about these furry celebrities during the Aquarium’s twice-daily Leaping Lemurs animal programs at 10:30 a.m. and 3 p.m. During the rest of the day, they’ll be able to snap pics in a special photo booth, snag a hug with a roaming lemur mascot and craft special lemur masks. Guests can take advantage of these World Lemur Day activities, included free with admission, from 10:30 a.m. to 3:30 p.m.
Those looking to take home an extra-special memento can visit the gift shop, where they can purchase special paintings made by the lemurs themselves. These paintings are available in limited quantities, but those looking to help improve the conditions for lemurs in Madagascar can also find many other fair trade goods in the gift shop that were made by Malagasy artisans. A portion of the sale of these goods will benefit the Aquarium’s ongoing partnership with the international Madagascar Fauna and Flora Group. Come visit one of the oldest Brown Lemurs in North America (35 years old)! Our event will include games, activities and conservation messaging set up around our lemur habitats. Fun lemur activities, and a lemur conservation table set up to showcase conservation projects that help lemurs! We are having a World Lemur Day Trick and Treat celebration. We will have mini meet and greets with our Ring Tail Lemurs, Trick or Treating, Games, Face Painting, Lemur enrichment craft, Drawings for prizes, Information booth. Costumes welcome but no masks. During the mini meet and greets we will be giving information on the ring tails and other lemurs. It is $10 per car load at the gate. Ages 3 years old and up. Stall set up for games all day, and with artwork from the animals! We’re raising money for field equipment for our Malagasy team and school supplies for children the villages close to our field sites in Tsitongambarika Protected Area . DATE: October 6th & 7th 11:00a.m. to 4:00p.m. DATE: October 27th starts at 1:00p.m. DATE: October 28th 1:00p.m. to 3:00p.m. ◆All Stripes Come and Gather! DATE: October 6th & October 13th starts at 2:00p.m. ◆Let’s Make SPECIAL Snacks for Lemurs!! DATE: October 20th starts at 2:00p.m. We display photographs of lemurs taken by visitors and staff. A game you will solve mysteries that are set in the facilities. ・ Ring-Tailed Lemur and Black-and-White Ruffed Lemur. Keeper talk about these two lemurs species and give some quizzes. ・Let’s make “Lemur flag” together! The guest draw an illustration and write a message about lemurs on a flag. We’ll connect those flags and display them. The participants can go near the Ring-Tailed lemurs and the keeper will talk about them. ・Transform yourself into a Ring-Tailed Lemur and a Keeper! Everybody takes a photograph in disguise in Ring-Tailed Lemur and Keeper. 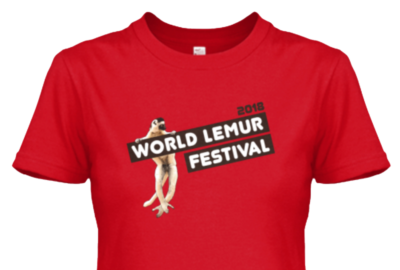 Buy a 2018 World Lemur Day T-Shirt! Shirt sales will benefit a randomly selected LCN member organization that works to protect at least 1 of the 9 critically endangered sifaka species.